Fortunately, I’ve got more work to come, some of which may not appear here for months. I don’t want the blog to go static or get stagnant however – and I very much appreciate the nice comments I’ve gotten recently, btw – so I’ve tried to come up with a plan for some easy, yet fun, content to get us through the summer months. 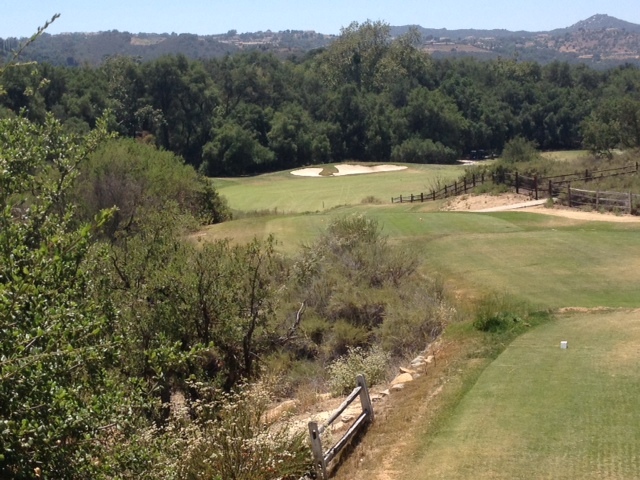 It dawned on my recently that, after playing Woods Valley in Escondido and Fallbrook Golf Club, I’ve now played basically all the North County courses in my two years here. Or if there’s one I’ve not been to, maybe a country club or two, I’m unaware of it. Thus, I thought it might be fun to make some lists of the North County courses, stuff like best finishing holes, toughest par-5s, toughest courses period, etc. I will be using no research beyond my own playing experiences to do this, so we’re not talking about the most scientific process here … but lists are largely to generate discussion and debate anyway, so hopefully this will prompt some of you to weigh in and we can get a little debate going and some good old fashioned golf talk. If I don’t get a list up this week, I’ll pop one up next week and see how it goes. I’ve got a few ideas. If you have any list topics you’d like to see, let me know. I’m always open to input, and, like I said, I think it’d be cool if this became a group exercise. We all talk about this stuff on the course, but no one ever writes about it. Until now. This entry was tagged blog, JC Golf, lists, Woods Valley. Bookmark the permalink.